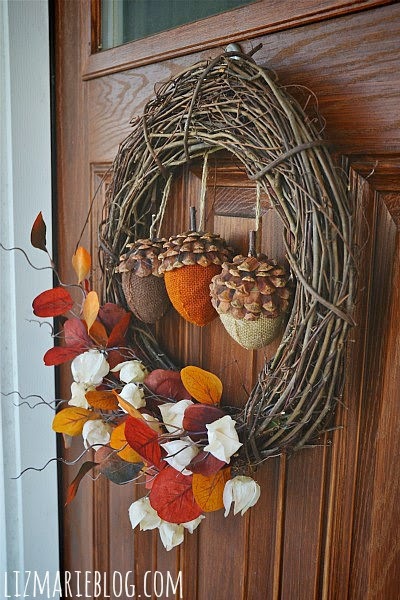 We are 2/3 of the way through September which for me means Halloween decorations, but if you are ready for a more traditional fall decor, a fall wreath is a great place to start. 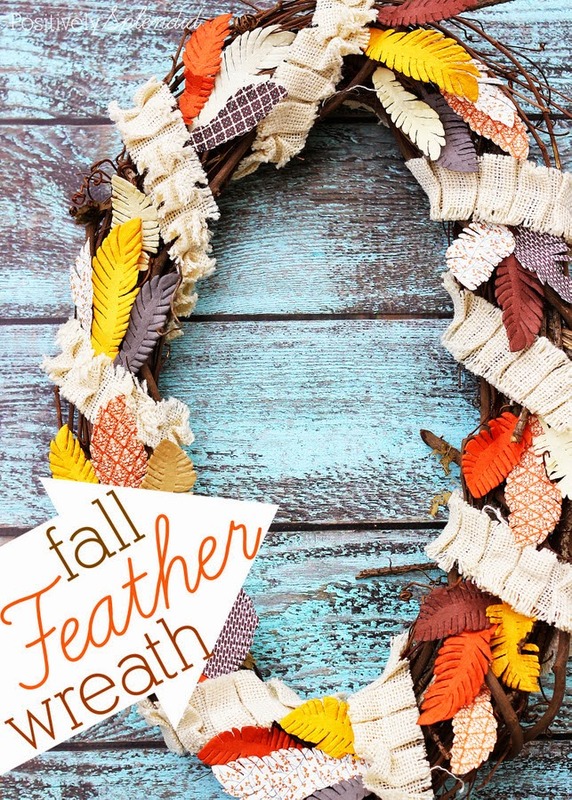 I love Amy's fall feather wreath and how quick it is to put together with the precut paper feathers. You can check out the details over at Positively Splendid. I also love this beautiful fall acorn wreath that was put together from items purchased at Michaels. I love the acorns with the pine cone tops! You can see the rest of Liz's fall porch decor over at Liz Marie Blog. Do you already have your Fall decor up? You should come back and link to this weeks Show & Tell Saturday!